I'm just an IT guy working in the IT world. I love to explore new things and the web is the best way to explore! 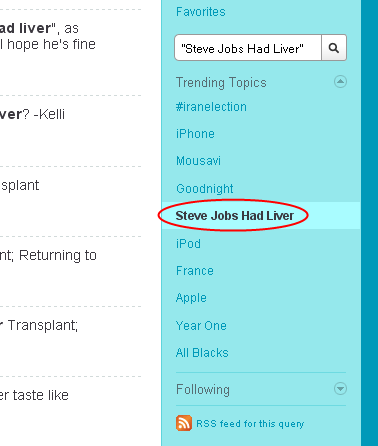 This entry was posted in Misc and tagged apple, liver, steve jobs, steve jobs had liver, transplant. Bookmark the permalink.